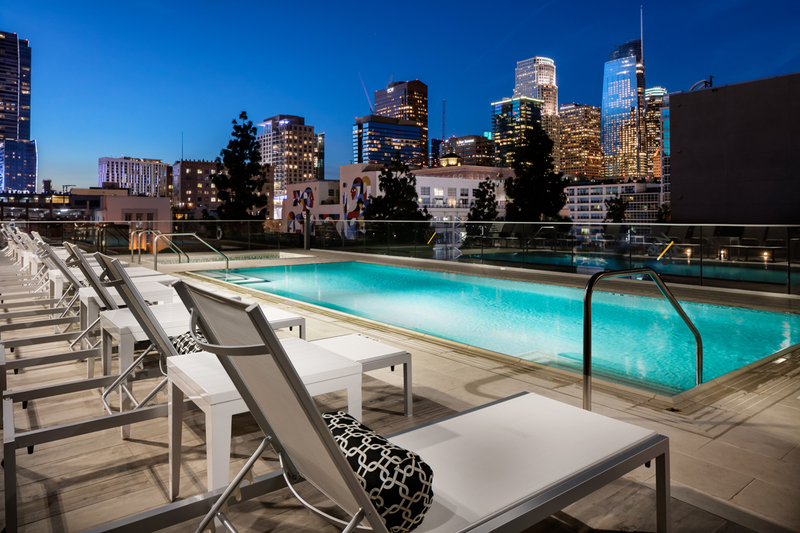 Raising the bar for luxury, Trumark Urban (with design team Lifescapes International, architect HansonLA and interior designer Handel Architects LLP) developed TEN50, the first for-sale residences to be completed in Downtown LA in over a decade. 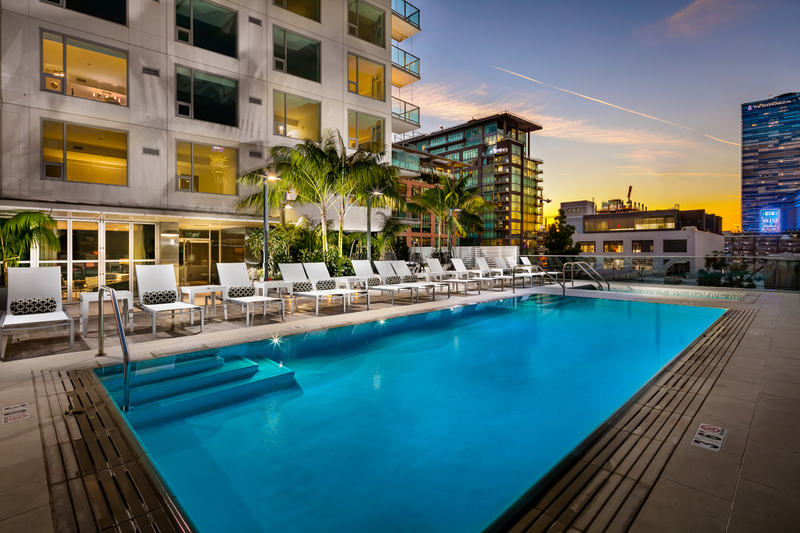 Filled with incredible resort-like amenities and showcasing city views like no other, residents will feel like they are on vacation – every day of their lives. 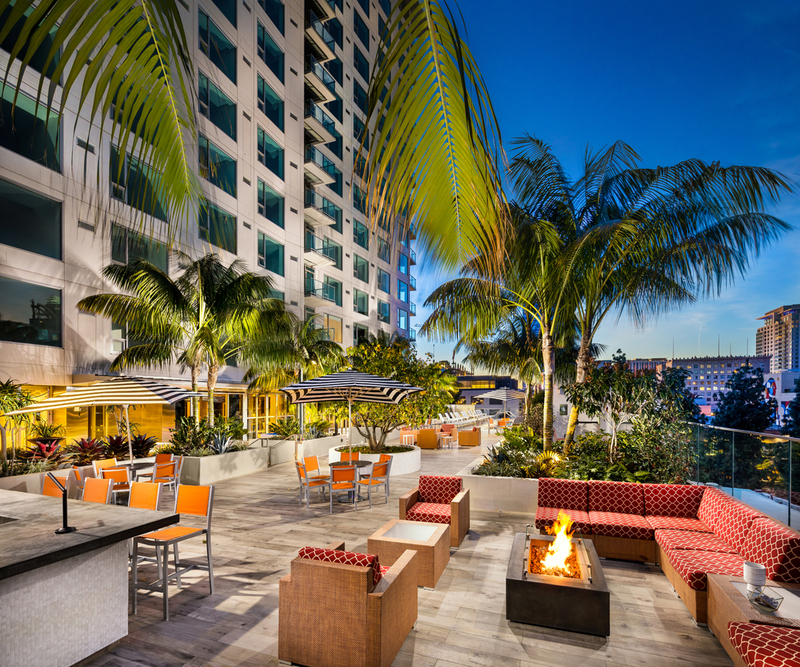 The 6th floor lounge space, “The Fifty,” provides 13,000 square feet that flow seamlessly from the interior social areas to the outdoor gathering spaces. 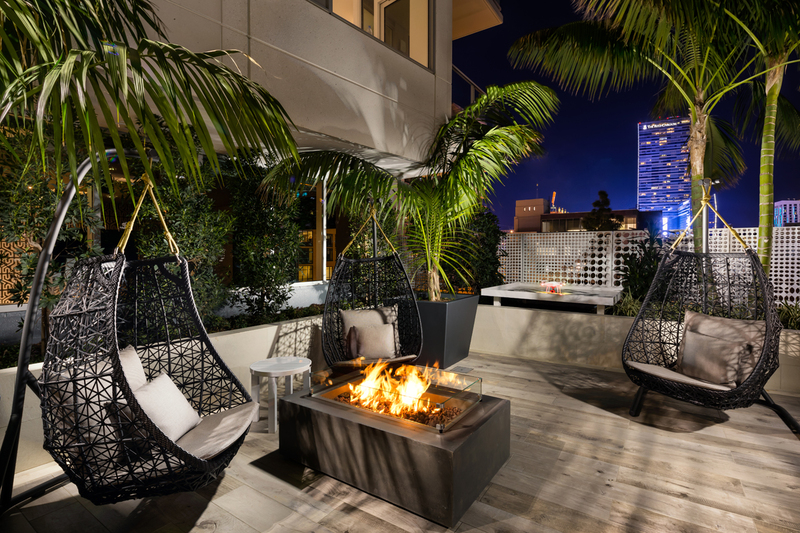 Multi-level gardens accommodate private parties or intimate gatherings, while natural gas fire tables, well-appointed BBQs/cooking area and a built-in entertainment bar provide ideal hangouts for city-light viewing parties. The property features a state-of-the-art fitness center and the country’s first air-ready drone landing pad. From the modern-style, zero-edge pool and cabanas to the generous-sized therapeutic spa, every detail takes advantage of the sweeping views, and makes residents and their guests feel like they are in a resort. Natural elements segment the areas, with a full-grown Naked Coral tree serving as a focal point; Tree Aloes, Japanese Loquats and numerous Kentia Palms, are used to create a garden oasis, and over 30 large Japanese Blueberry Trees create a beautiful natural wall. The living tapestry is created by over 1,000 shrubs of various sizes, from Blue Chalksticks, Dwarf Heavenly Bamboo to White Striped Flax Lily, with layers of water-wise materials throughout. This all combines to make a verdant, yet sustainable, roof deck environment residents will want to come home to, play and socialize in . . . night after night.